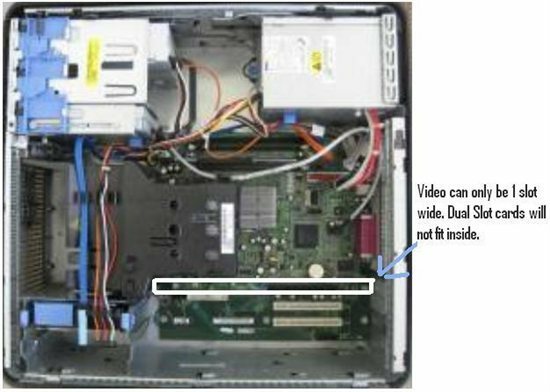 Hello, I need some help finding a decent video card for my old Optiplex 755 Mini Tower. Not sure why they call it a mini as it certainly a medium size tower. Anyway I know these are pretty old computers so a new video card would be crazy. I would rather pull the trigger for something used on eBay if possible. I need to be able to plug this 755 MT into my TV via HDMI and watch Movies/Videos with it. I would mostly be using Videolan or Plex to pull this off. Can anyone recommend a video card for this? If i get to play some older games with it this video card great! The important part of this equation is sound over the HDMI connector. As i have a video card now working but it's hooked up with a Display Port on the video card to a Dell HDMI adaptor cable which supports no sound whatsoever. There is a specific card that works fine with the 755 all sizes EXCEPT USFF. Works with XP VISTA 7 8 or 10. Its not expensive and works fine. 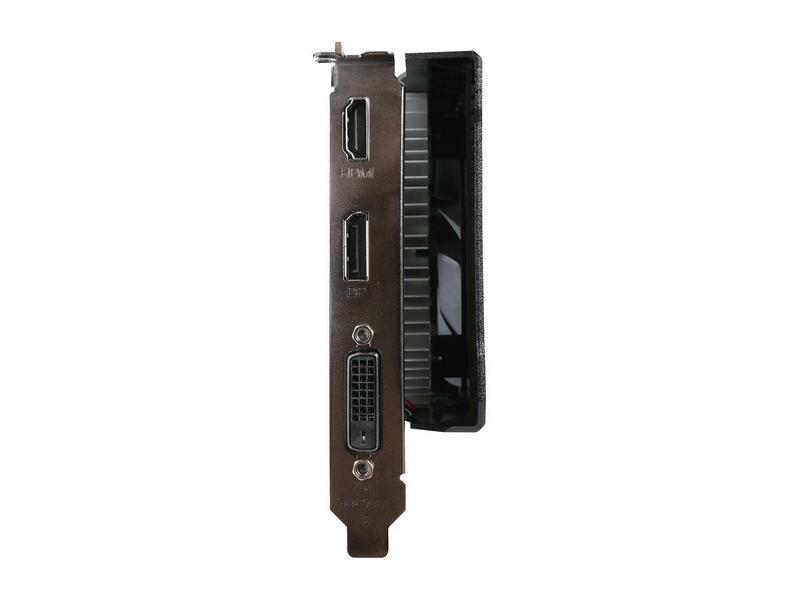 Hello SpeedStep, I am wondering about the HDCP features of this video card. Do you know how this will affect me & all of my media? I stream all my media with plex to all sorts of devices here at the house. Using the Opti 755 MT and it works very well. Will this card prevent me in anyway from playing my content? Thanks again for your time! This card works fine with HDCP over DVI or HDMI. Blueray playback does not work over VGA. This is by design. This card works fine with all streaming media and works with windows XP/VISTA/7/8/10 just fine. It even works with older games. The difference with 5450 vs 6450 is 2X the shaders and 2X the Ram. ASUS Silent cards are preferred because they fit and there is no cooling fan to fail. I took your advise but bought a used one on eBay. I spent $23.98 total on the 1gb card shipped. So I saved a little on a very old computer. If the card works should I redo the thermal paste/pad? I usually just use Equate Maximum Diaper Rash Ointment, w/ 40% Zinc Oxide on my Cpu/Gpu's. If they have a pad under the heat sink I will cut a custom one from a sheet. These cards run a lil hot from what I have read. So I figured I would ask. Now on my other 755 MT I would like to install a better Nvidia video card. It all ready has a 9400GT 512mb in it. I think there might be something better out there that wont break the bank. Do you have an suggestions on this second 755 MT? I still need HDMI w/Sound. It sounds strange to ask about sound over HDMI but I got jacked on an HP w/HDMI with no sound whatsoever. Boy was I mad as all get out about that. Anyway I have 2/755's MT, 1/7010 MT & 1/T7500 here as i just love Dell Computers. The thought had crossed my mind about replacing my Q6600's with Q9650 Cpu's. 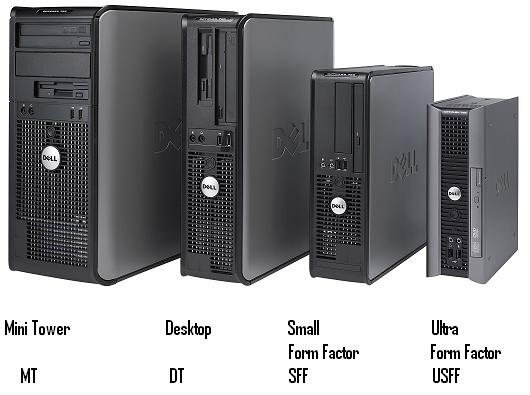 I will start some other posts about recommended upgrade's for these other Dells in the correct section. Thanks again SpeedStep for your time. You rock!!! Redoing paste on video cards is NEVER recommended. 755's require short single slot cards. That means the Zotac 1050TI Mini ZT-P10510A-10L is the best card. So a GT 730 is the most bang for the buck is what you saying then? The Zotac 1050TI Mini would just bottleneck my Q6600 ! It would certainly saturate the 1x16 lane. Those GT 730's might even do the same. (Quote SteedStep: Redoing paste on video cards is NEVER recommended.) Maybe not on this Dell Forum. I am an old man and have been redoing paste and pads since the 90's on anything used. Just isn't no way to know how abused the units might be. So I always err of the side of caution after I make sure the used part works. Of course this all depends if the heatsink can be removed with out breaking something. I even redo the motherboard heat sinks as well. Right down to my collection of Abit mobo's as well. Heck my BH6 w/300a celery still works to this day. 750TI or 1050TI will work well. It wont be 300FPS but it it will be reasonable at Medium Settings. There is no downside to getting a 1050TI as it can be used in newer and newer systems. Yep I know they will work all day long. Here is the king himself proving that over and over again. He has vids on the bsel mod w/q6600 ect ect. Or even the 771 to 775 mod. He is always shoving a 750ti or 1050ti into a lga 775 hp or dell. I must say he has the most interesting channel. Even if the card wont fit he would just use a cheap miners setup aka external. He is certainly off the hook. The GIGABYTE GeForce GT 730 DirectX 11.2 GV-N730D5-2GI REV2.0 2GB 64-Bit GDDR5 PCI Express 2.0 x 8 HDCP Ready ATX Video Card will fit. However the performance on the card would suffer in the x 16 lane. Based on some post's by speedstep it would only run @ x1 speed. Because Dell doesn't support x 8 lanes. So that particular geforce i linked to above is certainly off the table for these older 755's.